Empress Ki (Hangul: 기황후; RR: Gi Hwang-hu) is an upcoming South Korean historical television series starring Ha Ji-won as the titular Qi Empress, who was born in Goryeo but later married Emperor Ta Hwan to become an empress of the Yuan Dynasty. The series depicts her loves and political ambitions as she is torn between two countries: the one of her birth, and the one of her love. DO NOT post requests for subs. DO NOT post illegal streaming links (gooddrama, baidu, koreandrama, etc.). Due to the crackdown by the DMCA and broadcast networks, no illegal streaming links will be posted on this forum. Any complaints about the lack of streaming links will be counted as spam and reported to the moderators. DO NOT post anything unrelated to the drama characters or plot. There are already individual actor/actress forums set up, so personal items/works of the drama stars should go into their respective forms instead. DO NOT quote images or videos already posted. DO NOT post complaints about problems with video streaming companies such as Dramafever, Viki, YouTube, Crunchyroll, etc. All complaints should be reported directly to their respective companies instead. PLEASE GIVE CREDIT WHERE CREDIT IS DUE. KAMSAHAMNIDA! Actress Ha Ji Won is set to make a comeback on the small screen through upcoming MBC TV Mon-Tue drama ‘Battle of Flowers’, where she will play the historical figure Empress Qi. The drama revolves around the life and tribulations of Empress Qi who was born in Goryeo and later becoming an empress of the Yuan Dynasty. Empress Qi is known for being a wise ruler and wields great influence despite living in a foreign nation. Empress Qi always looks out for the honour of Goryeo even from afar, and is able to handle her fated romance and political ambitions. The drama will seek to draw from Ha Ji Won’s unique charms, and portray a side of Empress Ki that is rarely known to viewers, through a beautiful and painful love story arc. Ha Ji Won is famed for creating many classic characters through varying drama genres like ‘The King 2 Hearts’, ‘Damo’, ‘Secret Garden’, ‘Something Happened in Bali’, ‘Hwang Jin Yi, and others. Many viewers will be keen to see what sort of charms Ha Ji Won will bring in her new drama. The script for ‘Battle of Flowers’ will be jointly written by Jang Young Chul who is known for the his historical flair through dramas like ‘Dae Jo Young’, ‘GIANT’, ‘History of the Salaryman’, and Jung Kyung Soon. The drama will be directed by Han Hee who previously did ‘Dr. Jin’ and ‘Over the Rainbow’, and is known for his ability to project vivid video images. The drama will succeed ‘The Goddess of Fire, Jeongi’, scheduled for broadcast in the latter half of the year through MBC TV. My sentiments exactly, @7rfei. When I saw who was directing, I'm sincerely worried for HJW. I can't waiiiiiit. I love ha ji won in sageuks! I hope the male lead is someone who is older than hjw. So the best choice I think is cha seung won. 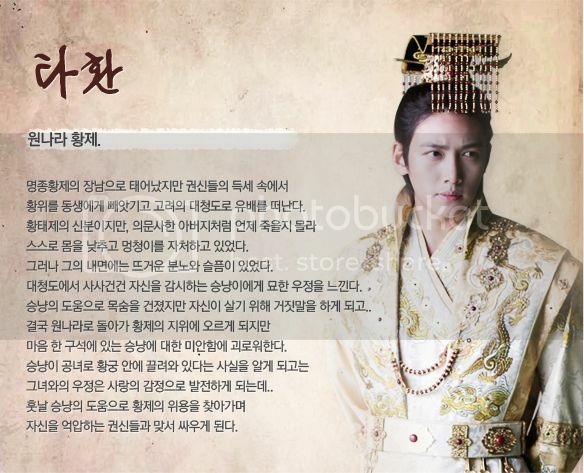 Regardless of who is the male lead or even the craptastic PD of Dr. JIN, I'm eagerly anticipating this one. Yaay. HJW fighting! I'm so happy about this news. I can finally see HJW on the small screen again. 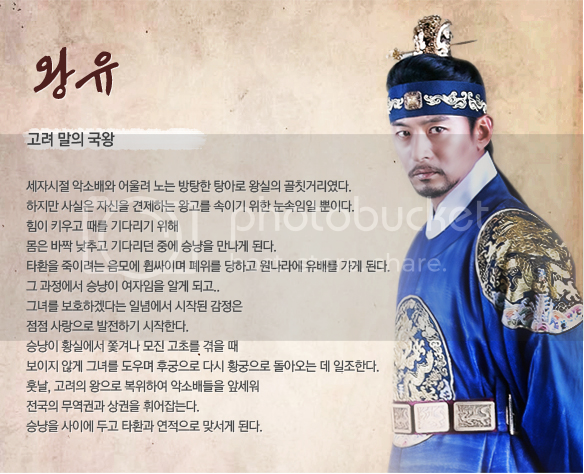 Hmm for the leading man I vote for Oh Ji-Ho. I am so happy for Ha Ji Won is going to play a sageuk again.. According to a May 13 report by MBC, actress Ha Ji Won has accepted the role of Empress Ki, a real historical person, in Hwatu, which is going to air in the second half of this year. Hwatu will be the sequel to The Goddess Of Fire, Jung-Yi, which will take over the time slot of The Gu Family Book when it ends. Hwatu is a historical drama that describes loves and conflicts in the life of the real Empress Ki. In the drama, Ha Ji Won play the attractive, wise empress of Goryeo, who has a powerful influence over the Yuan Dynasty of Genghis Khan. Empress Ki fulfilled political ideals and predestined love with pride in Goryeo as part of an unfamiliar foreign imperial family. The story of Empress Ki is not popularly known and will fascinate viewers with its tale of beautiful yet sorrowful predestined love. It has been a year since Ha Ji Won appeared in The King, Two Hearts, which ended in May 2012. Viewers will be looking forward to seeing how Ha Ji Won will do. SHe has shown acting skill in a variety of genres playing very different characters in MBC’s Damo, SBS’s Secret Garden and Something Happened in Bali. Hwatu is written by Jang Young Chul and Jung Kyung Soon, who has been credited for outstanding historical research and powerful writing skills for KBS 1TV’s Dae Jo Young and SBS’s Giant and Salaryman. Producer/director Han Hee, who directed MBC’s Dr. JIN and Over the Rainbow, will direct the series. The MBC drama will be Hanafuda (working title) and is scheduled for the second half of the year. It will be directed by Han Hee who directed Dr. Jin and Over The Rainbow and will be written by Jang Young Chul who wrote Giant and The History Of The Salaryman. And it will feature a beautiful love story. Hanafuda are Japanese playing cards. The Korean name for hanafuda is hwatu. Hi Ladies! !...any inside scoop on who's getting an offer for the male lead? cynder said: Hi Ladies! !...any inside scoop on who's getting an offer for the male lead? mssegacrazy said: cynder said: Hi Ladies! !...any inside scoop on who's getting an offer for the male lead? Wow, ... amazing Ha Ji Won is ready to set up for her new saeguk drama.. Hey ! you go girl! I think I will follow this thread until the last 60 episodes weehhoo! awesome! Can't wait to see her in Korean Saeguk costume ...Fighting ! yeah! I'm so excited to spazz here for the 60 episodes of my hjw awesomeness. See you by then, @Kyorean! @mssegacrazy said: yeah! I'm so excited to spazz here for the 60 episodes of my hjw awesomeness. See you by then, @Kyorean! Cha Seung Won is doing a movie. I don't think he will be available. So excited with HJW next series - a sageuk Loved her & JGS in HJY.